The Well Project was launched in January 2017. The project is Shrewsbury Diocese’s response to the Syrian Crisis, the exhortation of Pope Francis and Christian concern to help those in need. 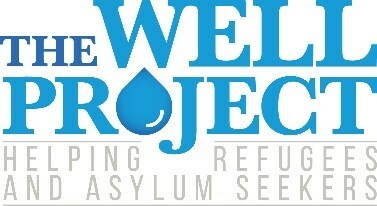 The Well Project offers time and space to those who are seeking asylum and refuge. The session is led by Abi a qualified ESOL teacher and supported by a great group of volunteers. There are opportunities to learn basic vocabulary, conversational English and cultural exchange. Participants are assessed on arrival and assigned a volunteer. Ladies come for company and friendship, they feel safe and cared for. There is an opportunity to discuss their worries about paperwork, learn and enjoy cultural exchanges, cook together and learn English through their activities. There is always a lovely welcoming atmosphere and the ladies are looking for more opportunities to develop services in the Centre. NB. We have project workers who speak Arabic and Farsi available.